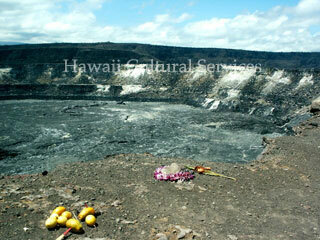 Hawai`i Cultural Services (HCS)/Hawai`i Wedding Associates, LLC (HWA) is one company. Itʻs a small “mom & pop” yet multi-faceted organization thatʻs trying to achieve big goals. The husband and wife team – Kahu Kalani & Sharon Silva – are the owners who have served the community for 40+ years. Kahu Wendell Kalanikapuaenui Silva is an authentic Hawaiian Kahuna, descended through a lineage that has kept the sacred and secret Native Hawaiian cultural traditions for centuries. What Type of a Kahuna is Kahu Silva? 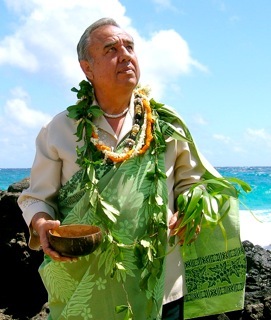 In accordance with Hawaiian standards, and by virtue of his Native Hawaiian bloodline, indepth training and expertise in various spiritual disciplines, Kahu Silva is regarded as a Kahuna Nui, (high priest). 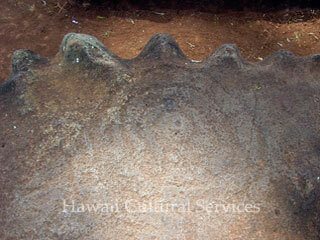 In the ancient times, kahuna nui were very highly respected but are extremely rare in Hawai`i today. As a kahuna nui, kahu fulfills the spiritual duties of his office in the roles of a Kahuna pule (prayer expert), a Kahuna a`o (teaching minister), and a Kahuna kaula (seer). What are Kahu’s Roles & Responsibilities as a Kahuna nui? Kahuʻs primary role as a kahuna nui is to serve as a bridge between the material world and the spiritual realm. As a Kahuna pule (prayer expert), kahu’s spiritual kuleana (responsibilities) include but are not limited ho`opomaika`i (performing Hawaiian blessings), ho`ola`a (ceremonial dedications), ho`oponopono (cleansing rituals), huikala (freeing of taboos), and officiating over other traditional Hawaiian rites of passages, etc. As a kahuna a`o (teaching minister) his primary mission his ministry is to educate, enlighten and share the legacy of ancient wisdom and knowledge handed down from generation to generation by his spiritual mentors and cherished Hawaiian ancestors. As a gifted Kahuna kaula (seer) skilled in various ancient ho`ailona (divination) techniques and trained to interpret omens, kahu devotes his energy to kōkua (help) others therapeutically as a Hawaiian spiritual advisor, intuitive counselor, life coach and metaphysical guide. A Native Hawaiian, Sharon manages every facet of the daily business operations: admin./clerical, creative, scheduling, coordinating, bookkeeping, writing/designing, production, promotions, negotiations, sales, website design, and more. She’s also the administrator of the Aloha O Kalani Ministry (non profit 501c3). 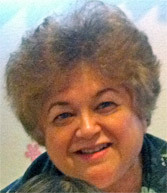 As a part of living her culture, Sharon served as a docent conducting Hawaiian cultural tours at Hanai`akamālama (Queen Emma Summer Palace), administered a Hawaiian historical preservation grant for a cultural heritage foundation, and was employed as a community relations coordinator for a non profit social services organization. Her first love was teaching grades K-6 in the Hawaiian Cultural Studies Kupuna program in the public school system. It was while teaching that she wrote and illustrated her first childrenʻs book which was used as a learning tool throughout the Hawaiian Cultural Studies curriculum. Together, Kahu Silva and Sharon are passionate about sharing their Native Hawaiian culture and heritage in a variety of unique and interesting ways and they look forward to sharing with you!